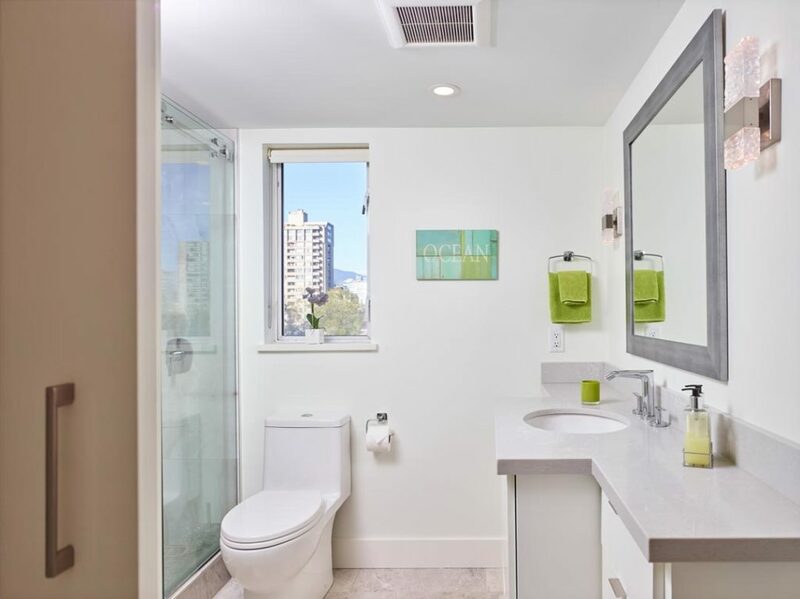 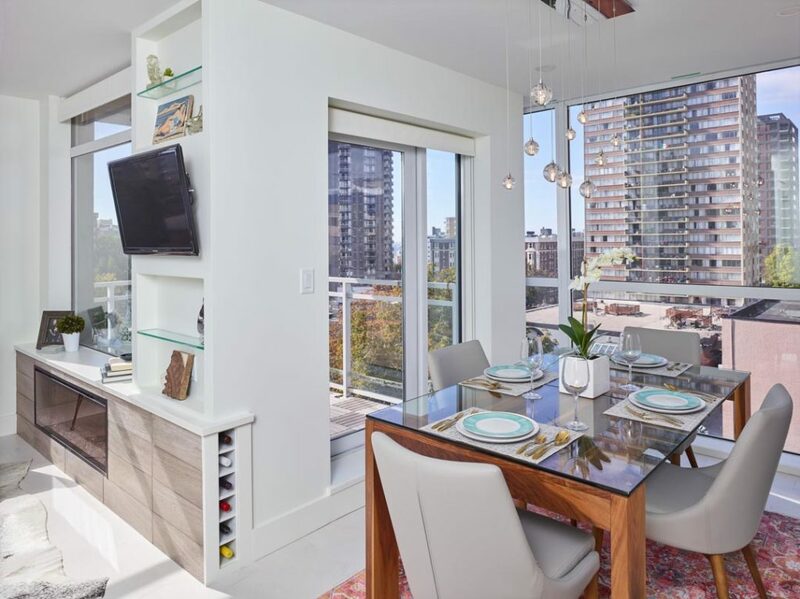 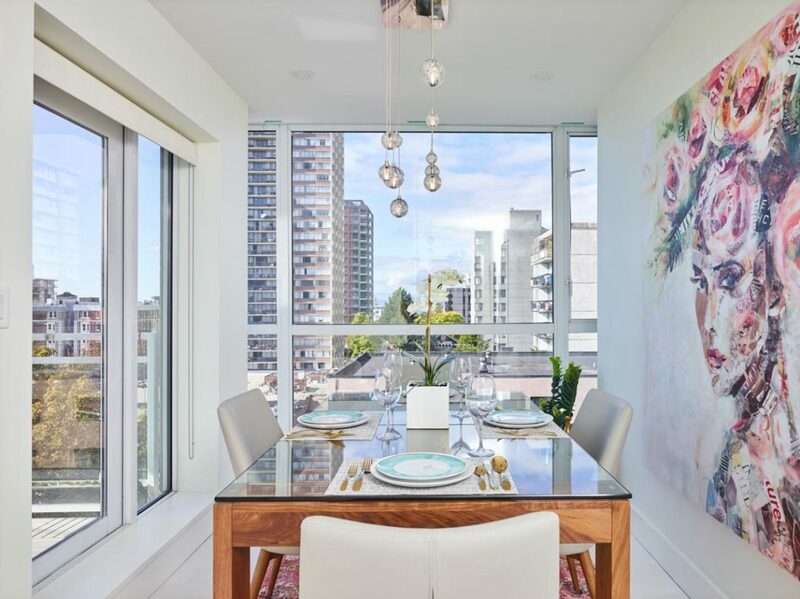 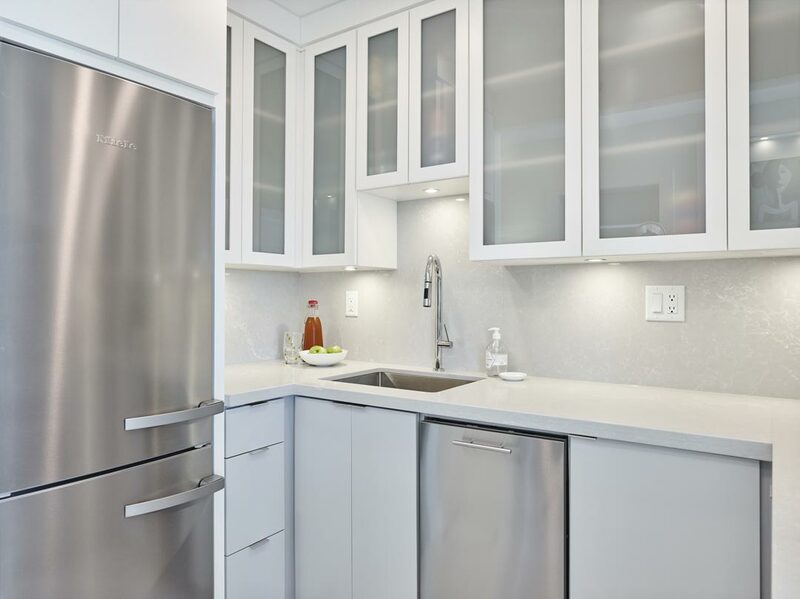 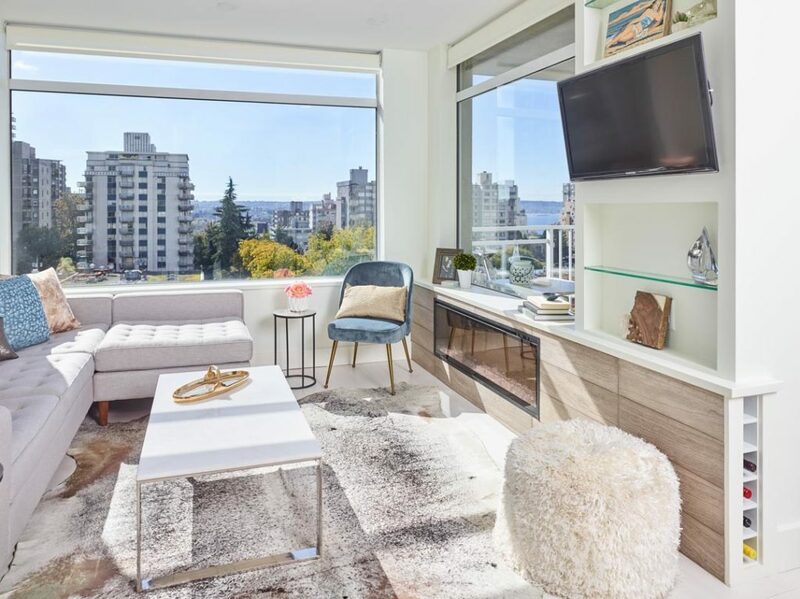 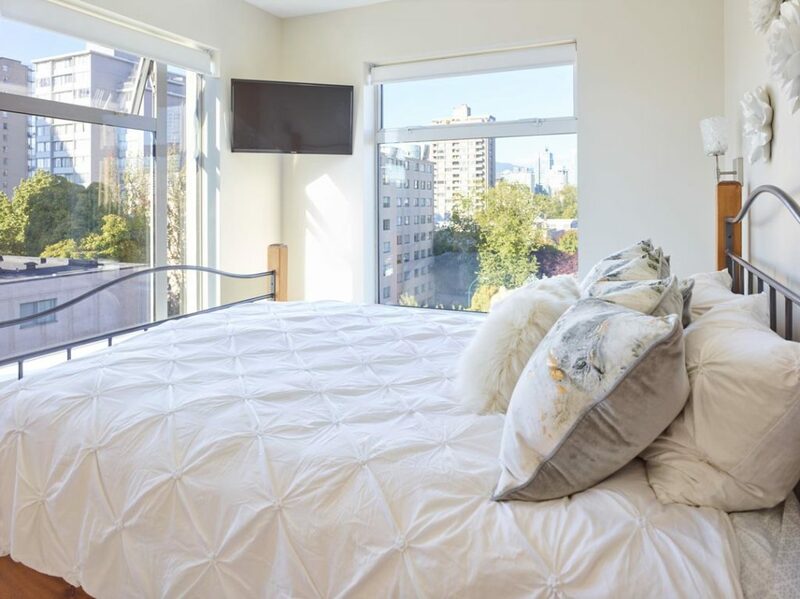 Opportunity for a full renovation renovation presented itself when a pipe burst and flooded this downtown condo. 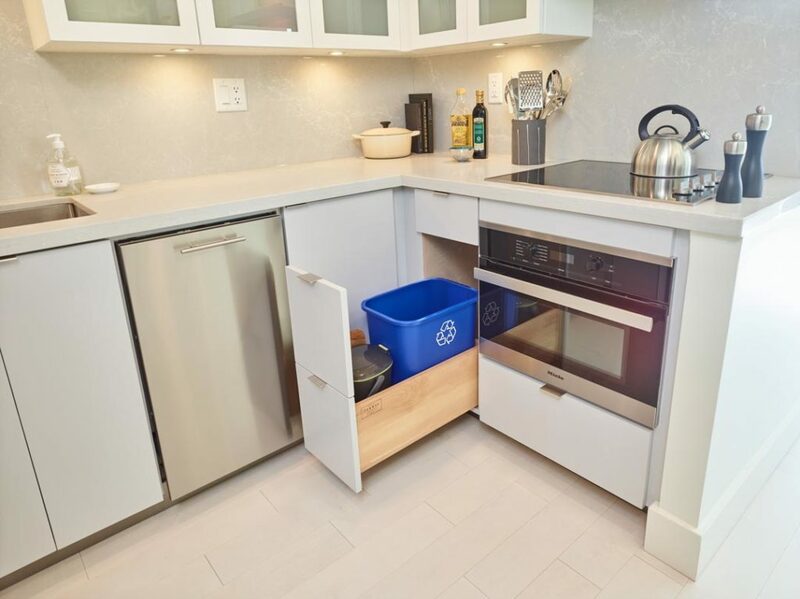 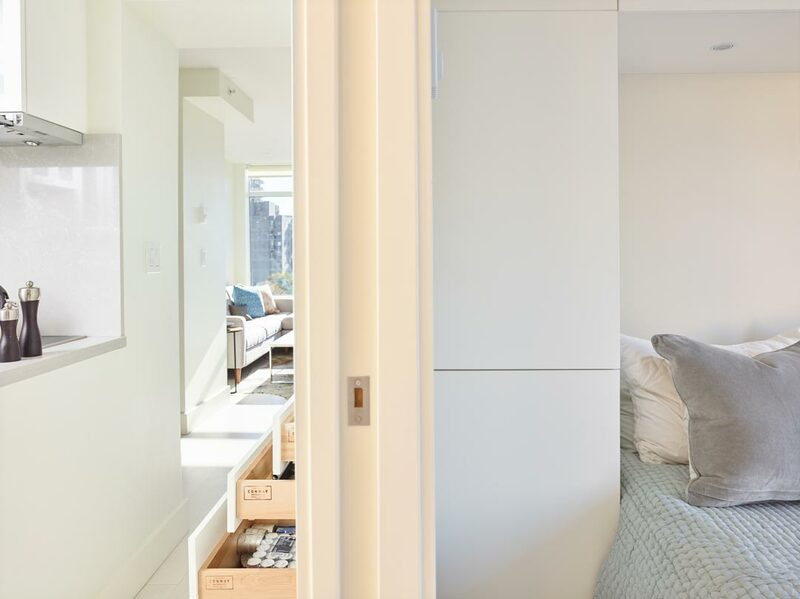 In an 827 square-foot space, clever and convenient storage space is a must. 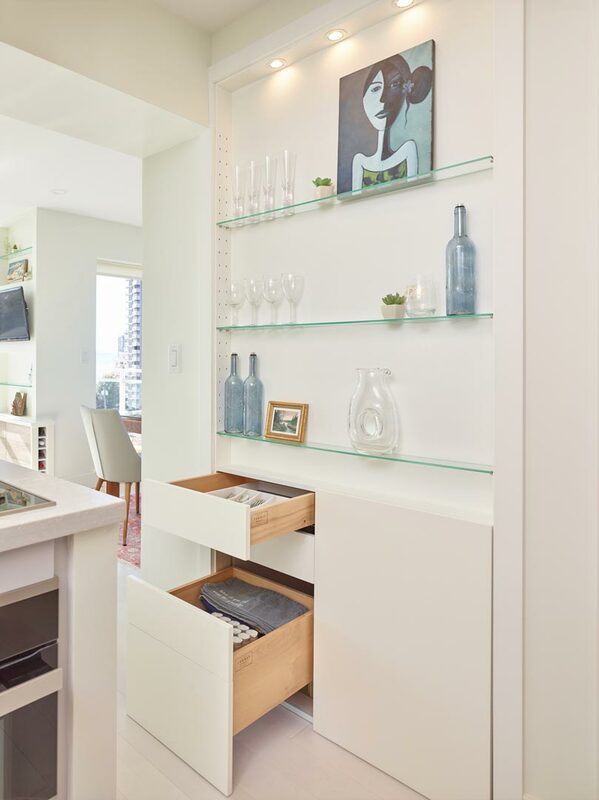 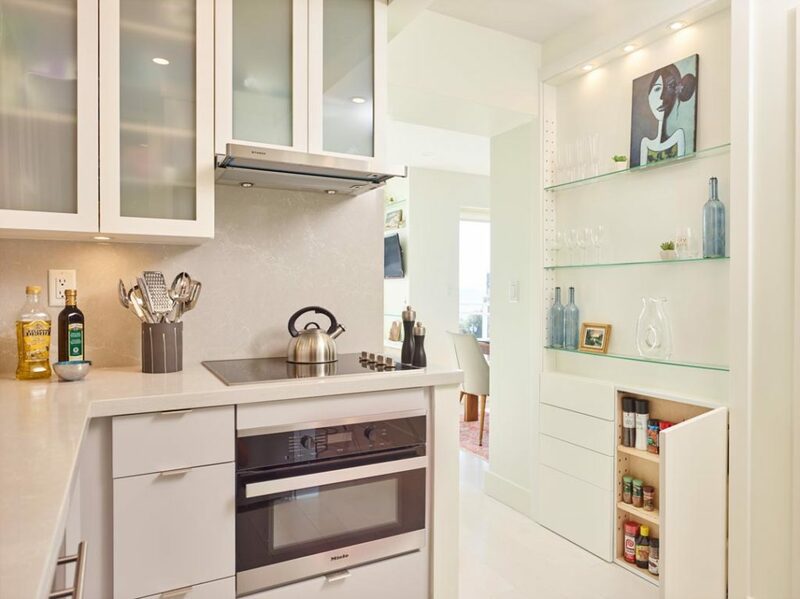 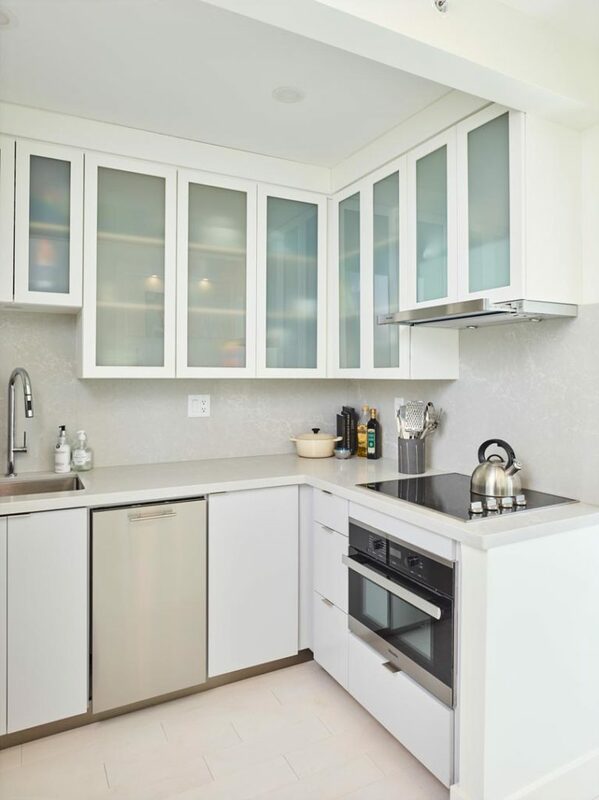 We put in glass shelves, drawers and a cabinet within a wall in the hallway, making utensils and spices easily accessible to both the kitchen and dining area. 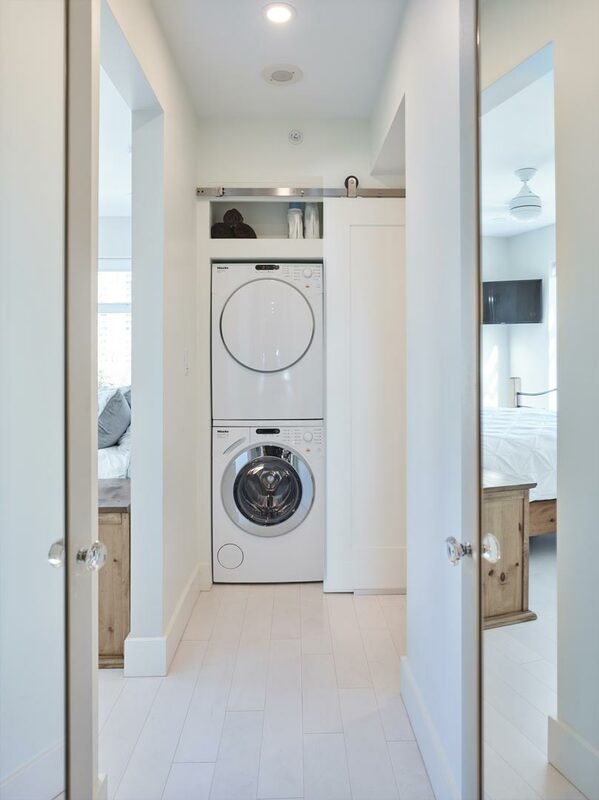 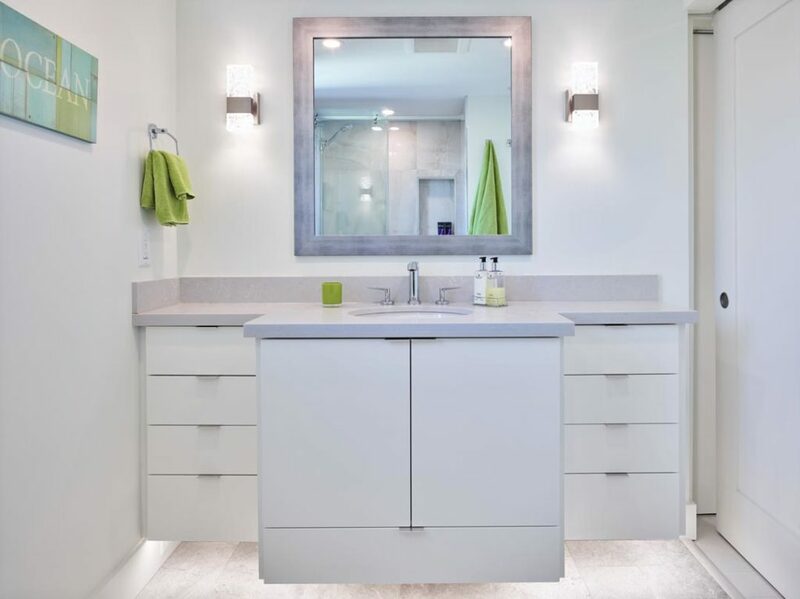 Another addition to the hallway was Parisian-style half-width mirrored doors to separate the client’s bedroom, closet and bathroom from the rest of the living space. Installing windows on every possible wall gave the contemporary apartment a luxurious 180° view of the city and ocean.